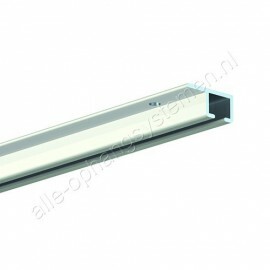 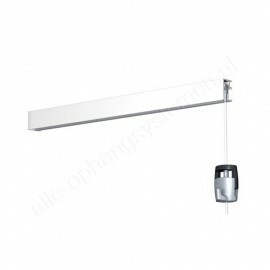 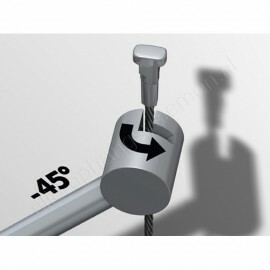 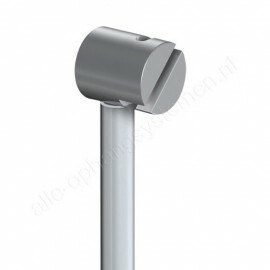 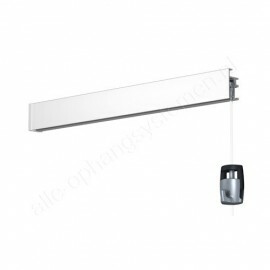 You need only a picture hanging rail with the opening at the bottom to be able to attach the Twister fitting. 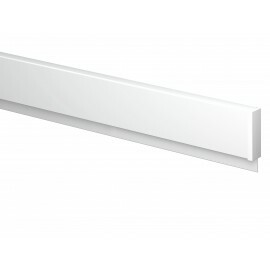 Newly, GeckoTeq and Artiteq have rails that are suitable for this. 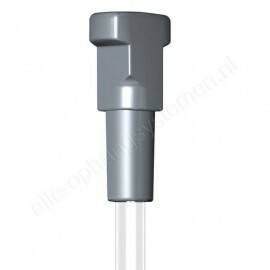 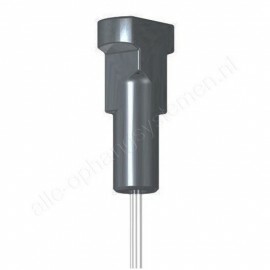 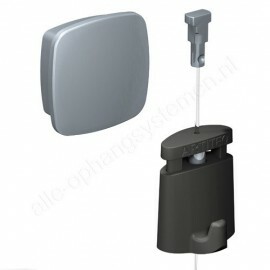 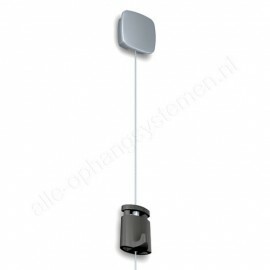 Once inserted, you will only see a small button on the top of the Perlon wire or steel wire. 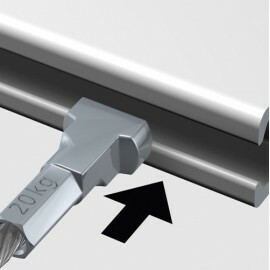 Do not forget – as this fitting secures the wire into the rail itself - that a ratched- or screw hook is always still required.